Elon Musk is reportedly in talks with the Israeli government to build tunnels across (or is that below) the country, according to statements made by Israeli Prime Minister Benjamin Netanyahu at a campaign event this week. The Boring Company could help "much needed infrastructure development" in Israel, according to Bloomberg, although it was unclear who would have priority if a Tesla tunnel merges with one dug by Hezbollah. Netanyahu said at a campaign event: "I met a man that they call Elon Musk -- have you heard of him? A real genius. Right now we’re in conversation with him to see if we can tunnel the State of Israel." Musk and Netanyahu had breakfast at the Prime Minister's residence, where Musk talked about his tunneling "technology". Netanyahu is in the midst of a re-election battle that'll culminate on April 9 against the Blue & White bloc, which has suggested tapping the country's sovereign wealth fund to upgrade its infrastructure. Israel’s public transportation system is notoriously inefficient and could cost the economy 25 billion shekels ($6.9 billion) a year by 2030 if changes aren’t made, the state comptroller found. And that's without letting Musk have a crack at it. Netanyahu apparently hasn't been turned off by the fact that Musk's tunneling idea was recently laughed out of Virginia by bureaucrats as being "a lot of show" and not "substantive". “I think there’s a lot of show going on here. 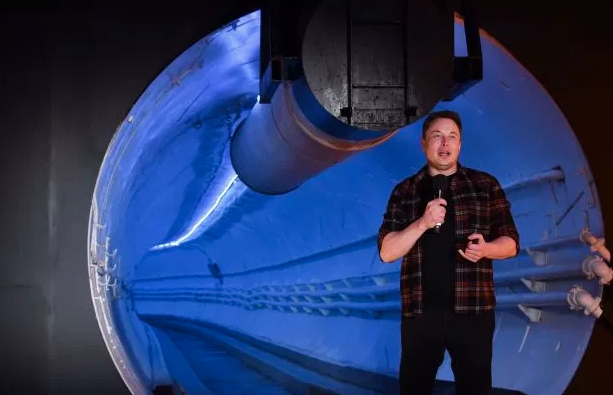 I don’t mean to suggest that they don’t have a serious plan in mind, but I don’t consider the steps they’ve taken to date to be substantive," Virginia bureaucrats recently said of Musk's tunneling idea.